Brilliant SEO tactic! 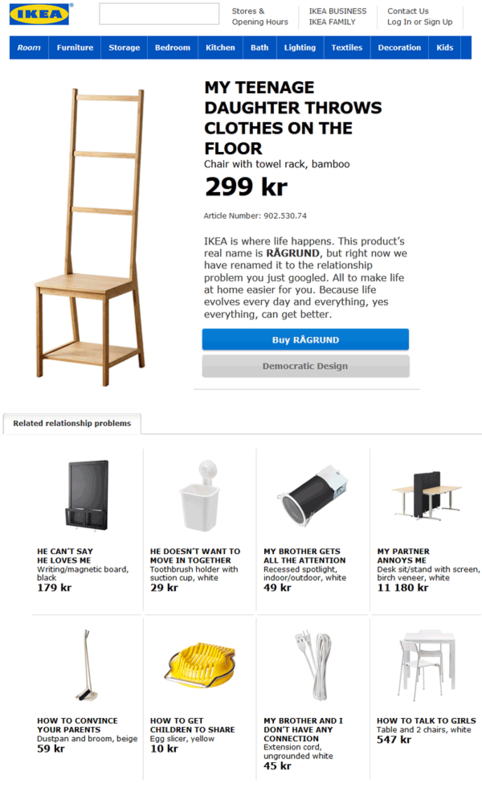 IKEA has a site where they’ve renamed products to match commonly searched, ‘longtail’ search phrases. So, does it work to generate traffic? I did a search for ‘what to do if my daughter throws her clothes on the floor’ and the matching IKEA product shows up near the top of page 1 of the Google search results page!